Conveniently located in Brighton East, Melbourne, Dendy Park Tennis Club is one of the leading tennis clubs in Victoria and Australia. The Club has a great history and traditionally have been noted for their competition teams, junior development and sense of community. Many of the greats of Davis Cup, Federation Cup and Grand Slam tennis have graced our courts including Wimbledon champions Frank Sedgman, Neale Fraser, Pat Cash, Lleyton Hewitt and Evonne Goolagong-Cawley. The facilities at the Dendy Park Tennis Club are modern, comfortable and well equipped for tennis players of all levels. 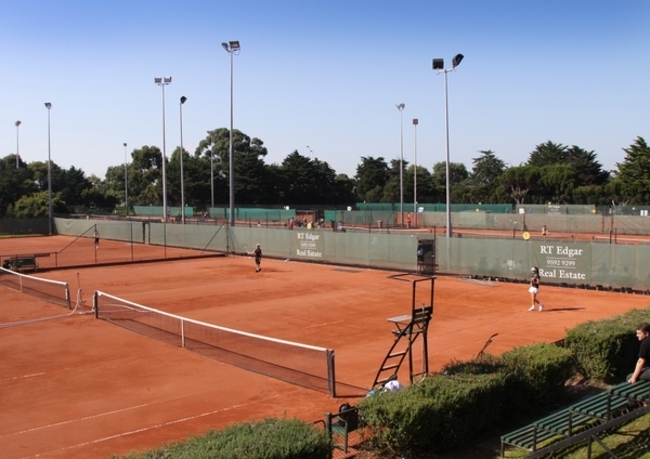 The Club has 19 en tout cas (clay) porous tennis courts. Thirteen of these courts have lights for night play. The Clubhouse has a reception area, office, kiosk, and substantial change rooms on the ground level. On the upstairs level are our Licensed Bar, Kitchen, Clubrooms with our historic honour boards, and the large viewing balcony with barbecue facilities. Our Licensed Bar prices are some of the most reasonable in the City of Bayside and a great place to socialise after your lessons or while supporting friends and family during competition play. Members please note courts are available Monday night and Friday night only. Please note that proper tennis attire must be worn at all times. Men must wear a tennis shirt at all times. As a guide approved brand (e.g. Nike) sleeveless tennis shirts are acceptable for men, singlets for men are not at any time. Dendy Park Tennis Club is a sporting club for gentleman and ladies. Dendy Park Tennis Club has adopted the Tennis Australia Member Protection By-Law. Dendy Park Tennis Club has adopted a General Code of Conduct. The Victorian Code of Conduct for Community Sport also applies.